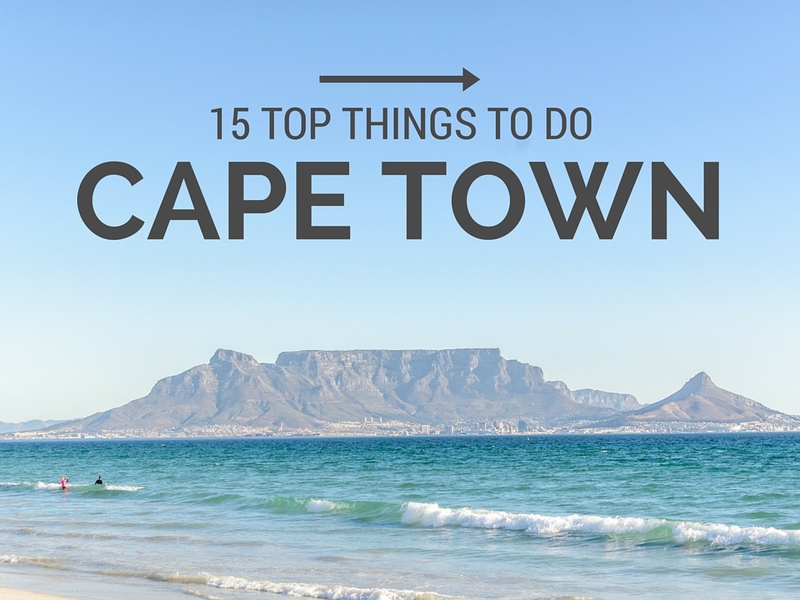 15 Top Things to do in Cape Town - Experience It! Fellow travelers, blogs, newspapers and so many other people kept asking me, if I had been to Cape Town, how it is and what one can do there. So when I returned from South Korea, I decided that I would take a month and go travel, explore and experience. These are the things that I've seen and enjoyed while I visited it. In all of my travels I've never been to a place with so many activities just a quick drive away. From, shopping and city to beaches, hiking and nature and much more. Taking the cable car to the top of the mountain, is one of the quickest ways to get to the top and discover the amazing scenery. 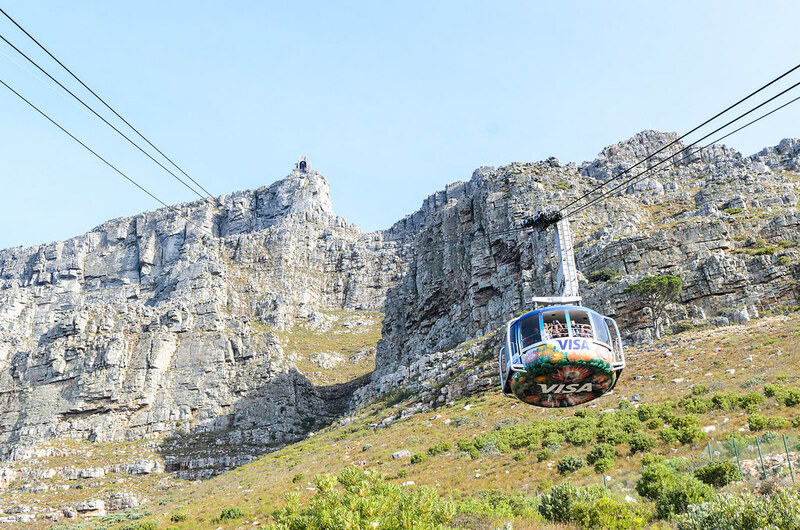 On the way, you'll learn quick details about table mountain and the cable car from the guide inside the REVOLVING cable car. Giving everyone a 360 view to the top of the mountain. Hiking is quite a popular thing to do on and around Table mountain. 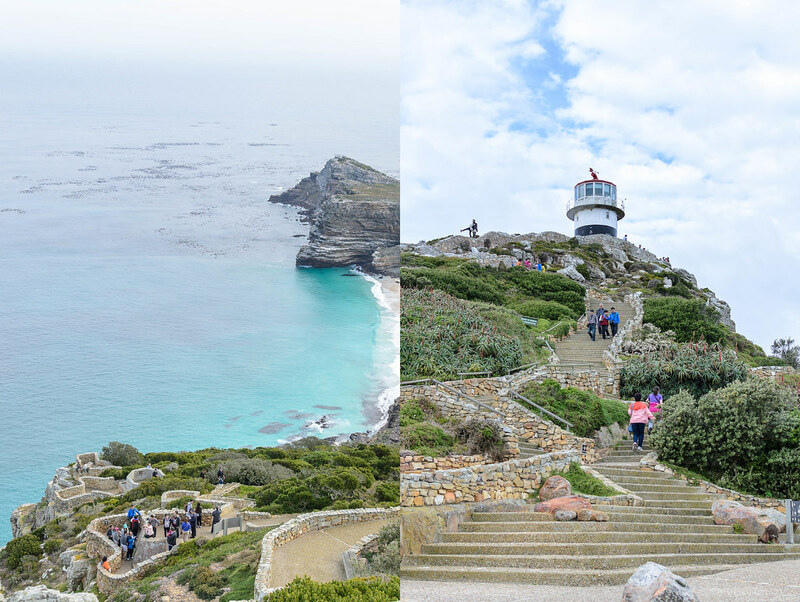 You can hike up to Table Mountain, Lion's head and other trails. It's surprisingly more dangerous than one would think, so please be careful. 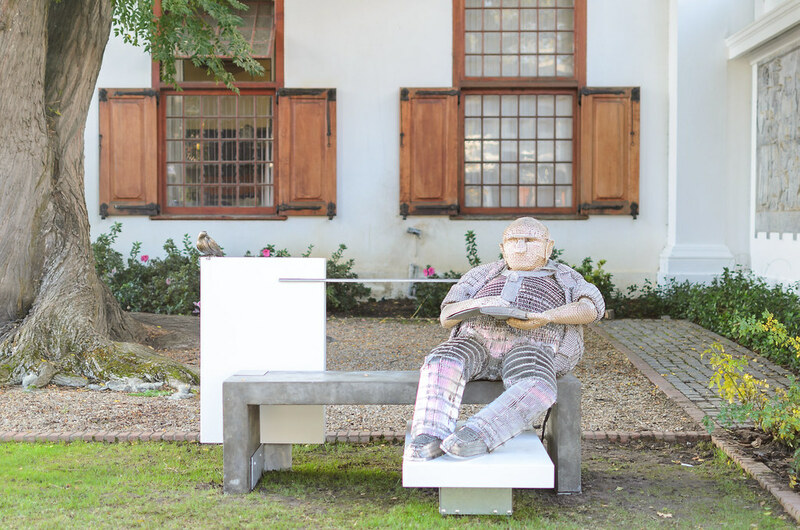 If hiking is your thing, visit "The Fynbos Guy". 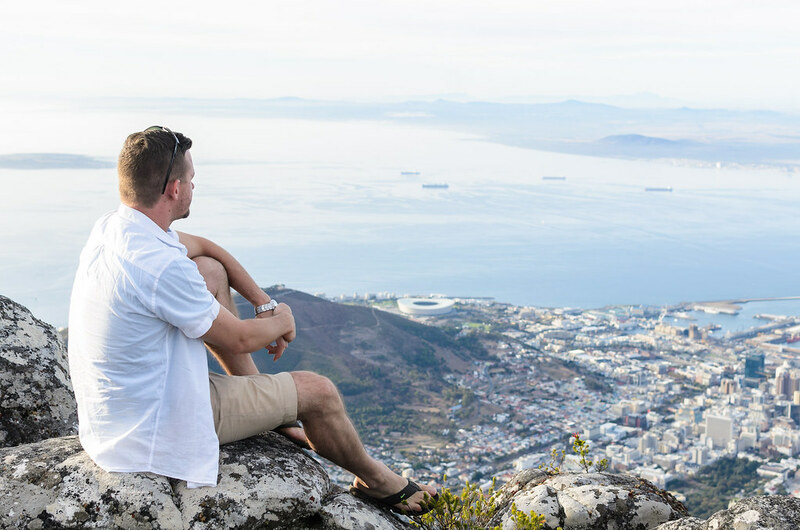 He'll be your guide not just on Table Mountain, but almost anywhere in Cape Town. Abseiling is also one of the great experiences you can have on the mountain. You can abseil off the edge on 112 meters of the vertical rock face. Check out www.downhilladventures.com and see all the awesome activities that you could book for your trip to Cape Town. Of course you could also go animal watching. Lot's of little animals, like the dassie or hyrax, the ghost frog, porcupines, snakes, tortoises and more. There are free guided tours on top of the mountain as well. Here they will tell you more about the mountain rock formation, animals and unique Cape Town "Fynbos" plants. 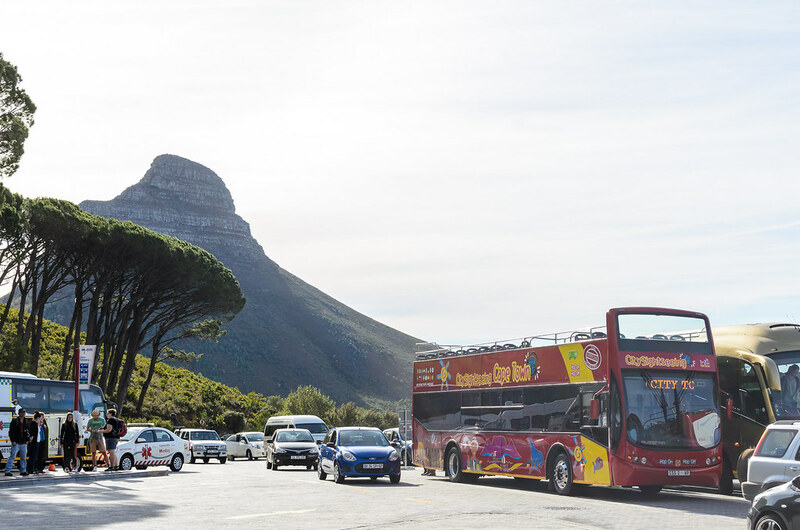 Signal Hill is located right next to Lion's head and offer a scenic drive with stunning views from the top. A lot of people spend their time having a picnic up there as well as other activities like para-gliding. Imagine gliding over the beautiful Campsbay or Seapoint with stunning views of the blue water and surrounding nature. Lion's Head, is the peak right between Signal hill and Table Mountain and is a very popular hiking spot. Speaking of Campsbay. I fell in love with this gorgeous beach the minute I drove past it. I just had to stop and see what it has to offer. Apart from the stunning beach you can also go fishing at some spots. I wouldn't recommend swimming in the cold Atlantic ocean, but if that's your thing, you can go for it. The street right by the beach, also offer a wide variety of restaurants, hotels and coffee shops if you just would like to spend the day there. I can't really remember any surfers there, but I know there are some options nearby, like at Sandy bay or Clifton beaches. Clifton actually has 4 parts, with each of them in their own hidden cove. It's also well protected against the southern winds and you'll be able to enjoy a perfect tanning session in peace. Further down the coast, you'll get to Houtbay. This was actually one of my most favorite stops I made. Here I was able to visit an awesome market called, "Bay Harbour Market" and eat the freshest catch of the day at Mariners Warf. You could also enjoy a boat cruise to Seal island from there. Then from Houtbay, you can go for one of the most scenic coastal drives you'll ever find. The Chapman's Peak drive is a 9km route with 114 curves and some small skirts where you can stop and stand in awe of the scenery. There are some places for picnic as well. Runners, hikers, cyclers and bikers can all enjoy Chapman's Peak as well. The road goes all the way to Noordhoek, one of the widest open beaches I've ever seen. For more on Houtbay visit here. The waterfront is quite a familiar sight whenever you see a picture of Cape Town. This waterfront has a deep history and there are quite a few things to do there. It has it's own shopping mall as well as other shops and restaurants around. You can find the Chavonnes Battery Museum, The Robben Island ferry and the 2 Oceans Aquarium here as well. Other activities include boat cruises, helicopter flights and cycling tours. To top this off, you can go shark-cage diving as well. Talk about a lot to do. Visit there website for more, because there are so much more. While I'm mentioning Robben Island - you know, the place where Nelson Mandela was imprisoned for a long time of his sentence, but not all. You can actually visit this prison Island and learn more about it's rich history before it became a prison as well. It was the first time for me to visit it and I found it quite interesting. 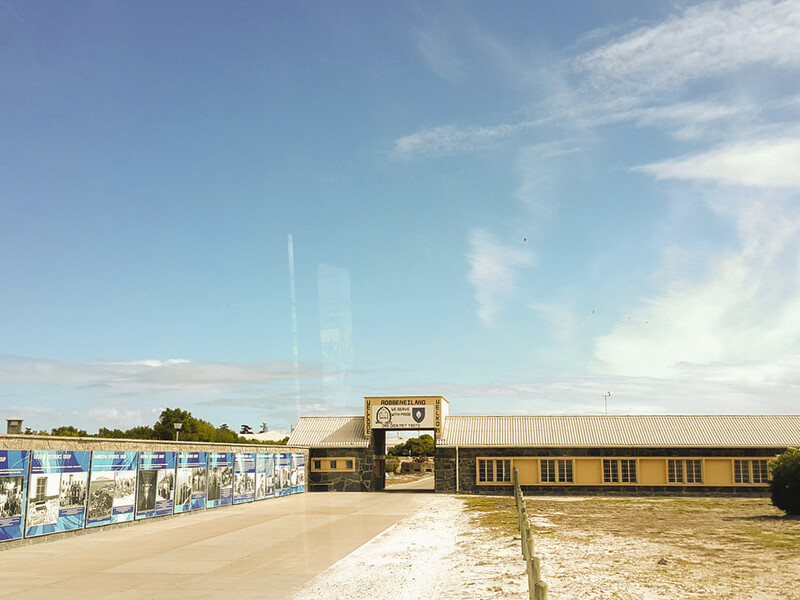 If you want to read more, here is a post that I did on Robben Island. If you haven't been active with all the things listed above and you still want to get more exercise. 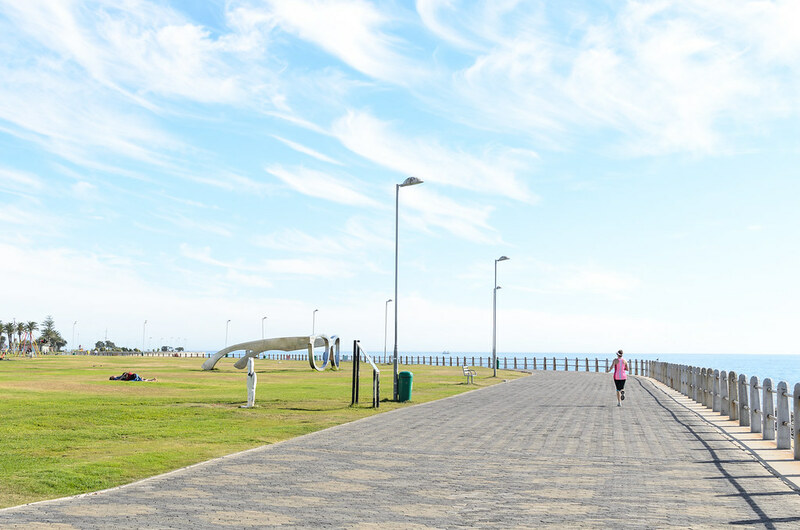 The Seapoint Promenade is where it's happening. Here you'll see hundreds of joggers and people exercising their hearts out. You'll also find a Virgin Active Gym there, but I don't know how people enjoy the overcrowded place. It's located right next to the Greenpoint Stadium. For those of us who enjoy eating more than exercising, you'll find quite a variety of restaurants in the area as well. Here is a list of places to see and things to do at Seapoint. Cape Town City Center, aka the city bowl, is not very big, but it's quite a nice place to visit. I was very surprised to see how safe it is to walk around town as well. Just be vigilant for beggers around every corner. There are quite a few different areas to visit. Long street - It's where it's all happening. You'll find this street full of backpackers, restaurants and some bars and pubs. 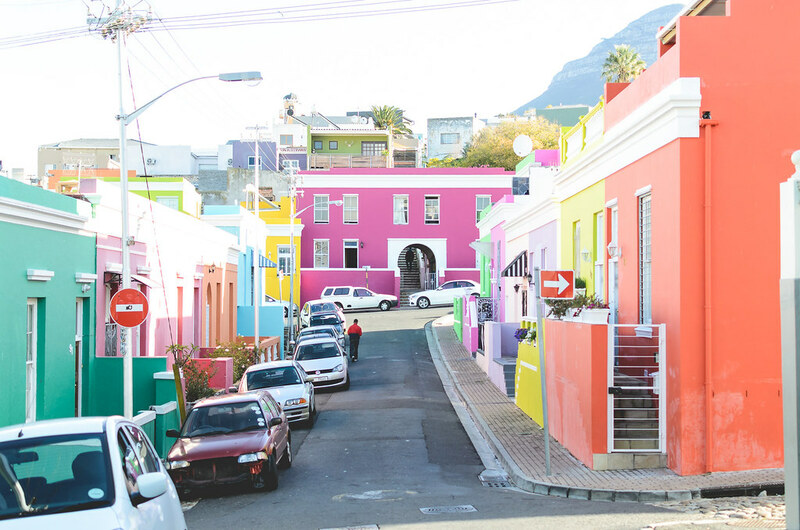 Bo Kaap - This is the colorful part of town where mostly Cape Malay people live. The houses are all painted in different colors, as if sponsored by a paint factory. It's really nice to explore and discover..
Company Gardens is where you'll find some museums, galleries and our parlement. You can also find the President's Residence, a library and a planetarium. You'll definitely enjoy walking along and running into some of the squirrels along the way. 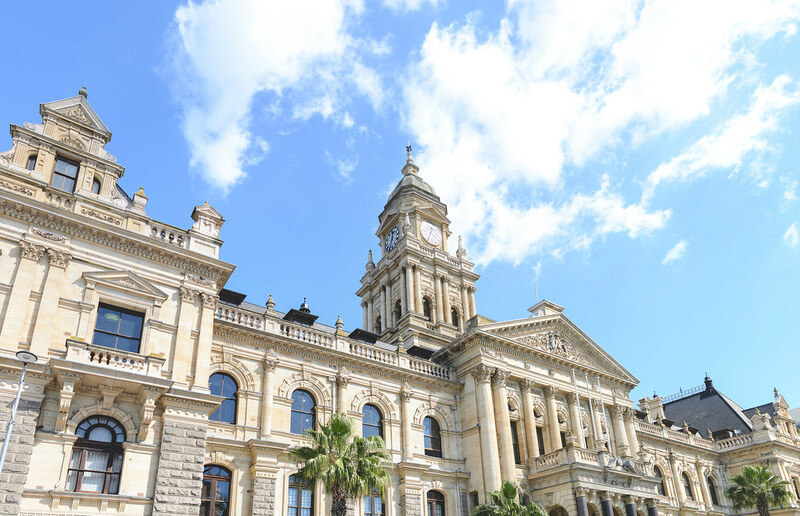 Other places include the "Casteel" or the Castle of Good Hope, a lot of statues of the settlers, theaters, the stunning city hall, the civic centre and a railway station. 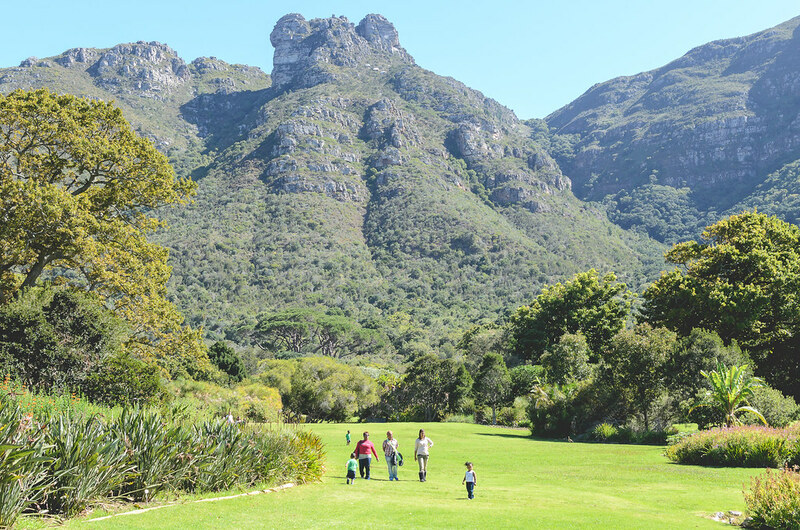 Kirstenbosch Botanical Gardens is just that, a botanical garden. Yet, it's so much more. It's a stunning, wide open garden that was started in 1903 by Harold Pearson. It offers stunning views and wide open plains with table mountain in the background. The Garden is an ideal places to stop, have a picnic and explore. If you love nature and want to learn more about this beautiful Cape vegetation. Not even around the bend from the gardens, you'll get to explore some wine routes. It's difficult to imagine that wine farms, exist so close to the city and that you can experience this as part of you city tour. You'll get to experience stunning wines and walk through the vineyards. Definitely a must see. I recommend that you make use of City Sight-Seeing RED buses to see these. They offer tours all over Cape Town! Definitely a great way to see and explore the city before venturing of on your own. One of my favorite and most beautiful parts of the Cape Peninsula is the route from Muizenberg to Simonstown. You can explore this route by train, that runs all along the beach and stops at every little town. At the end of the route, at Simon's Town, you are able to visit Boulders Beach, where you'll experience the African Penguins in all of their cuteness. There are so many more things to do in on this route, including fishing trips, shark cage diving, boat trips, museums, beaches and stunning scenery. I've linked this heading to my blog post about it, go check it out. Cape Point is at the tip of the Cape Peninsula. It's a nature reserve that is part of the Table Mountain National Park. Here you'll get to experience the most south western point of the peninsula and enjoy breathtaking nature and stunning views at the edge of the world. 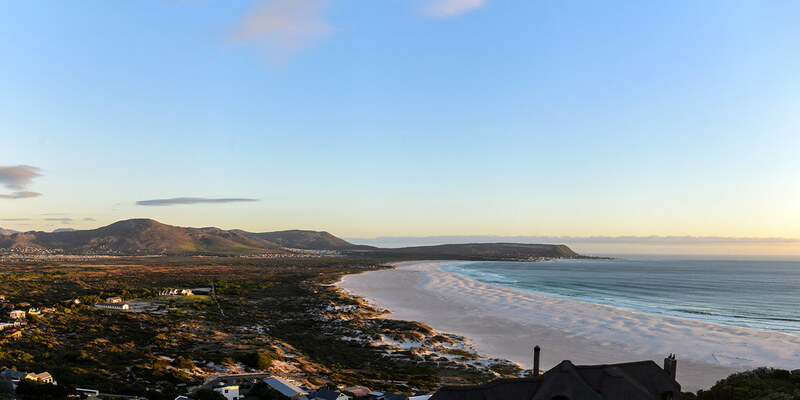 On your way back from Cape Point you can pass Noordhoek beach and other stunning little towns, when you travel towards Hout bay. You can take the Chapman's Peak drive from Noordhoek to Houtbay. It's a stunning wide open beach which almost looks untouched. You can also visit the lighthouse at Kommetjie. 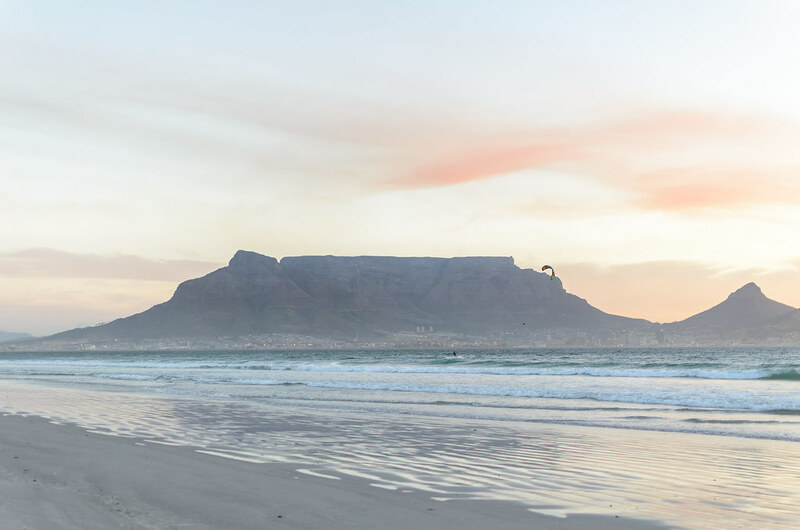 Blouberg "strand" or beach in English has probably one of the most famous views of Table mountain. The beaches are beautiful and popular. Robben Island is also not far from here and can be seen in the distance. Windsurfing is a great activity in these parts, as it an get quite windy in Cape Town. 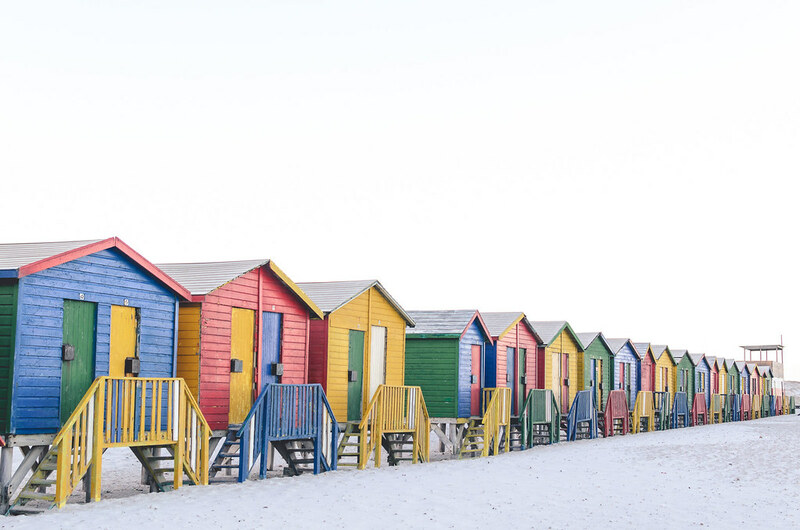 Here are a few bonus places to see if you are in Cape Town for a longer period. If you're an art, food and wine lover, then these are for you. 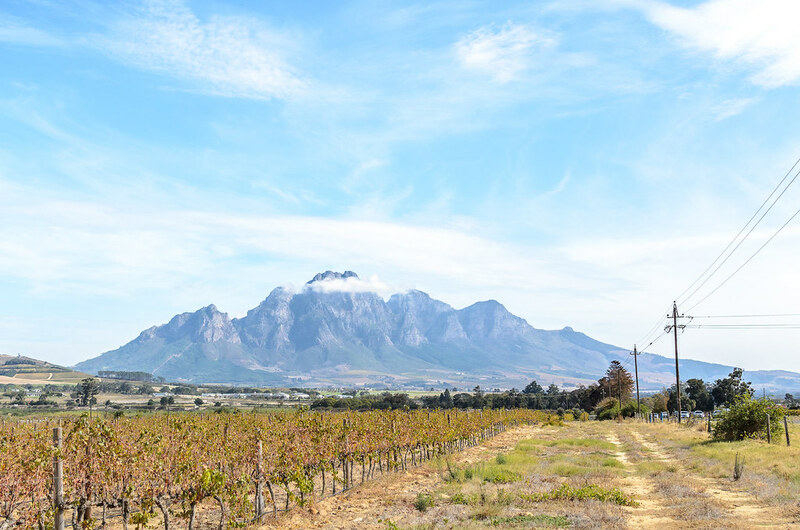 Stellenbosch is surrounded by world class wine farms. You'll be able to do some spectacular wine routes that will surely knock you off of your feet. Make sure to use UBER when you go there, this way, you'll be able to enjoy the wine with your friends and not just watch it. The town itself is stunning. 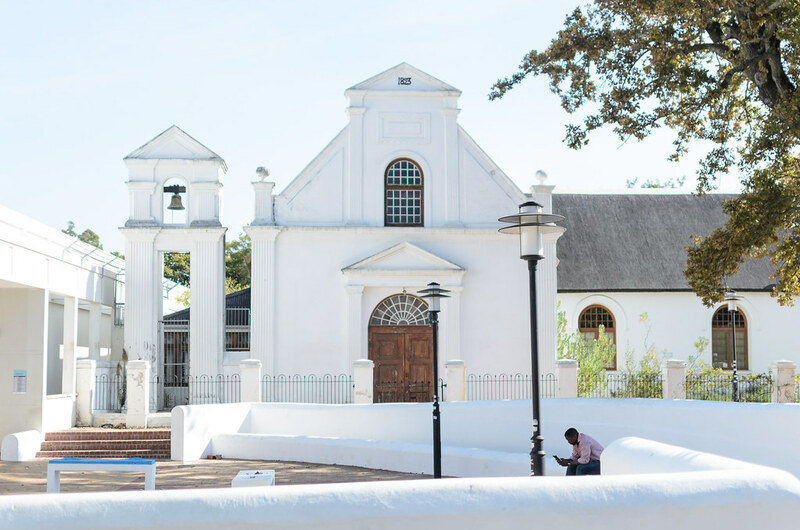 A lot of the buildings are white and in a Cape Colonial style. There are quite a few art galleries on the art route that you can do. It's also where one of South Africa's top universities is situated. So you'll see a lot of young students roaming around. This is a hip and happening little cultural town. Make sure that you don't miss it's beauty and charm. This town is literally surrounded by vineyards. It's also known as the Franschoek Wine Valley. It's a cultural little town, rich in History, where the French Huguenots settled down. Things to do, include wine tasting, restaurants, museums, horse back riding and nature reserve hiking. "Strand" means beach, and that's exactly what this place is. A huge and very popular swimming beach. 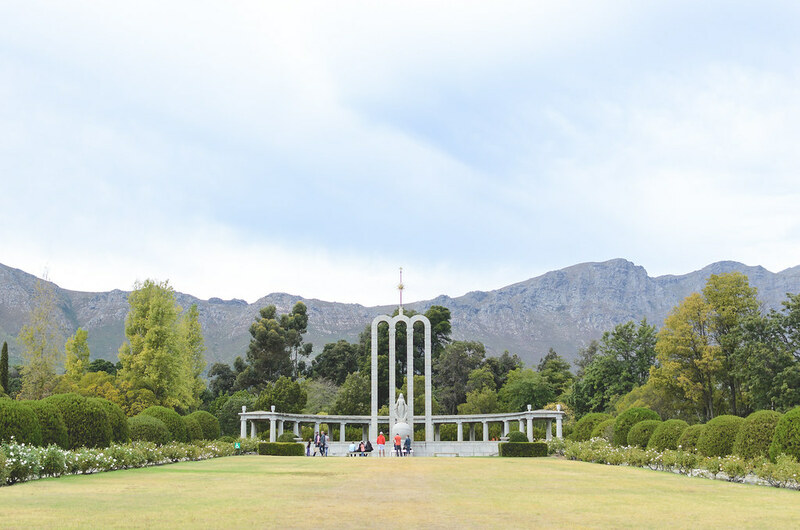 It's more a toned down vacation area and it's located close to Stellenbosch and Franschoek. Thanks for reading my blog! Let me know what you think. Is Cape Town a place you would like to visit? Looking forward to your comments! And if I didn't convince you, then this sure will! 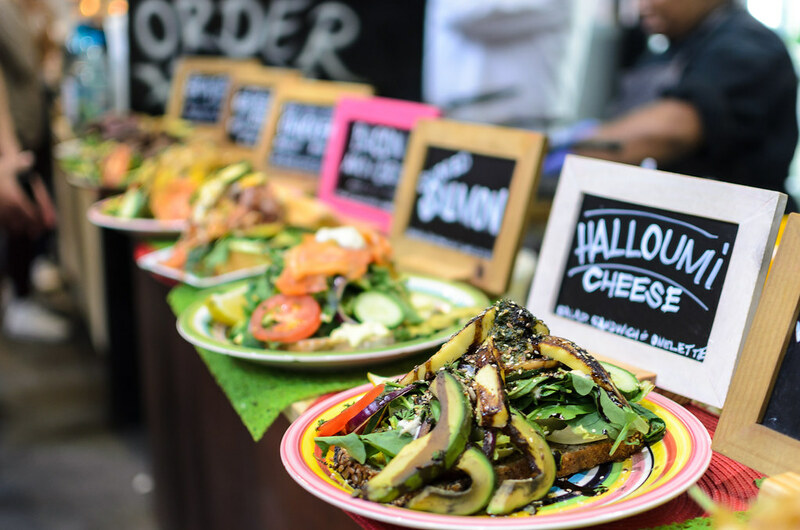 A swiss couple went on a FOOD SAFARI in Cape Town and this is the mouth watering result. FOOD SAFARI Cape Town – Where Food Lovers Dreams come true from Stefan Rueegg Swiss Filmmaker on Vimeo.